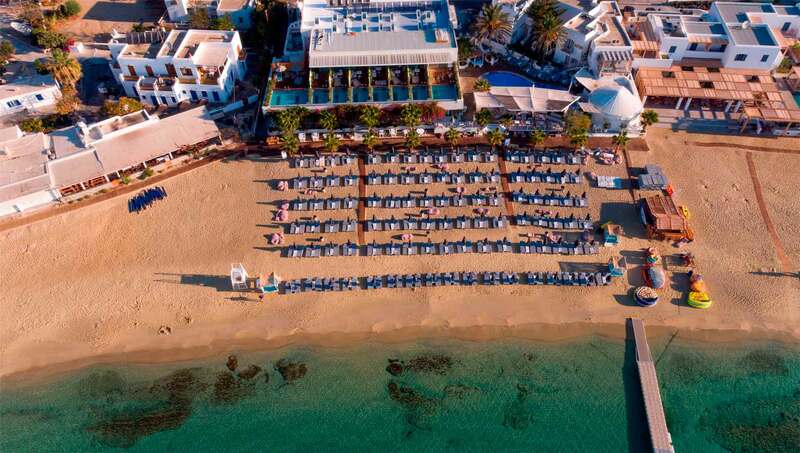 Centrally situated, and directly beachfront on Platis Gialos beach, Mykonos Dove Beachfront Hotel is considered one of the best, Five Star accommodations on Mykonos Island. With cosmopolitan Psarrou Nammos beach just to our right, with Paraga Scorpios Beach just to our left, and downtown Mykonos only moments away, you couldn’t ask for a more perfect, more convenient location to stay while on Mykonos Island. It is exclusively, one of the few luxury hotels anywhere on Mykonos Island, which can boast immediate, easy beachfront access. If you wish to submerse yourself in the barefoot luxury state of mind, enjoy a stay at Mykonos Dove Beachfront, where, unlike at many mountain top hotels on the island, your access to the beach is just a few, effortless steps away. No climbing, no descending hundreds of stairs. Just ask and we’ll be happy to provide. From the moment you make an inquiry to stay at Mykonos Dove, we consider you one of us. Even before you finally book, we provide you with our exclusive Guest Relations Services. This direct access to island experts ensures that you are having the best overall experience in Mykonos. 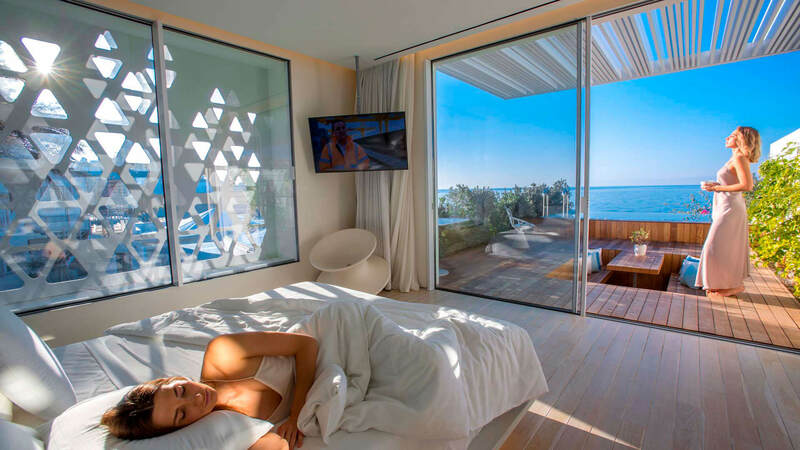 Mykonos Dove Beachfront Suites are modern, minimal structures. They include generous balconies or decks, infinity pools, or outdoor hot tubs from which to choose. You won’t find larger Hotel Suites than ours at anywhere else on Mykonos Island. During your stay at Mykonos Dove Beachfront, our staff is committed to providing the highest caliber hospitality and service, so that you completely and absolutely relax and enjoy your Mykonos Dove Experience.